Take care of Halloween guests! 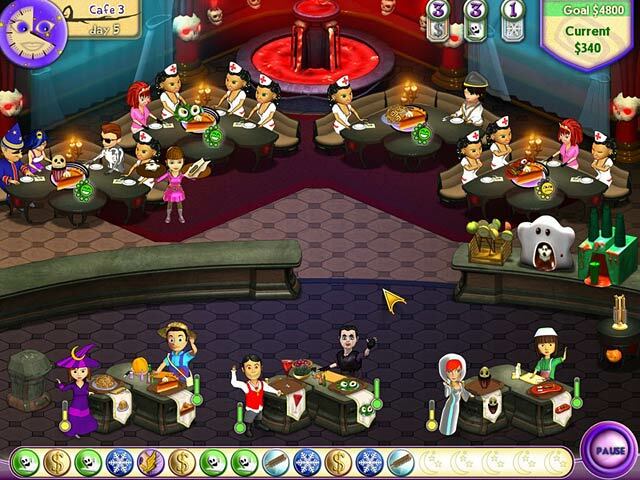 Help Amelie cater to guests dressed up as ghosts, goblins and vampires! 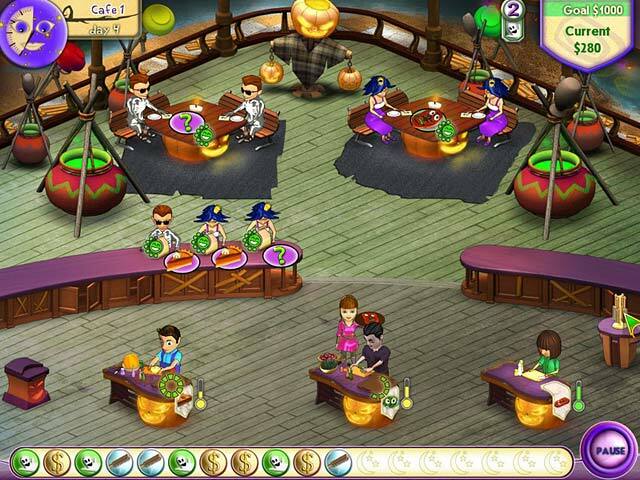 Keep her cooks busy and more in this fast-paced and exciting Time Management game! 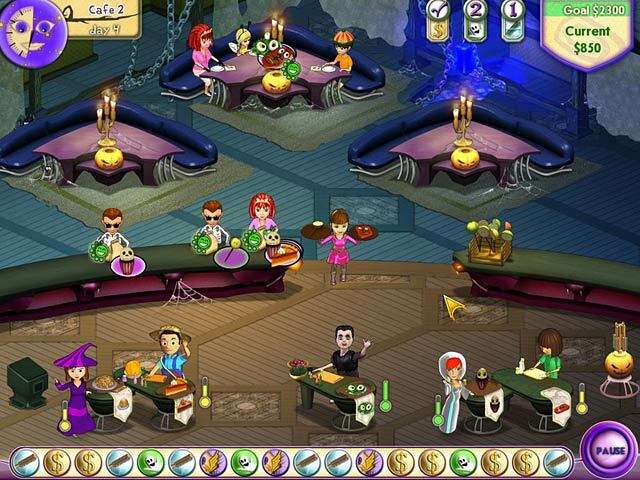 Rack up big money in Amelie’s Cafe: Halloween, and purchase incredible upgrades to keep your café from going under! Dive into spine-tingling fun as you cook up beautiful brain pies, delicious witch’s brew, and more tasty treats today!